The acting chief of carmaker Renault is seeking to soothe markets, car buyers and his employees by promising continuity despite the arrest of longtime chairman and CEO Carlos Ghosn. Deputy CEO Thierry Bollore, filling in for Ghosn while he faces suspicions of financial wrongdoing in Japan, said in a video issued by Renault Thursday night that Renault still plans to release several new car models next year. He also stressed commitment to Renault’s alliance with Japan’s Nissan and Mitsubishi, which Ghosn helped spearhead. Nissan fired Ghosn as chairman on Thursday but Renault has kept him on. Renault’s shares dived on news of Ghosn’s arrest, and have yet to fully recover. The economy ministers of Japan and France say they’re committed to the alliance between carmakers Nissan and Renault despite the arrest of the man who dominated the union, Carlos Ghosn. France’s Bruno Le Maire and Japan’s Hiroshige Seko met Thursday in Paris a few hours after Nissan Motor Corp. ousted Ghosn as chairman after nearly two decades at the helm. The two ministers said in a statement that they discussed “the latest situation” and reiterated their “strong support” for the Renault-Nissan-Mitsubishi alliance despite the troubles of Ghosn, who spearheaded it. France-based Renault SA decided to keep Ghosn as chairman and CEO but named interim management this week. Ghosn is accused of financial wrongdoing including under-reporting his income and misuse of company assets. Japanese media are reporting that Nissan Motor Co.’s board of directors voted to dismiss Carlos Ghosn as its chairman after he was arrested on suspicion of falsifying financial reports and other misconduct. The national broadcaster NHK and other Japanese media reported the decision, which emerged after hours of discussions. 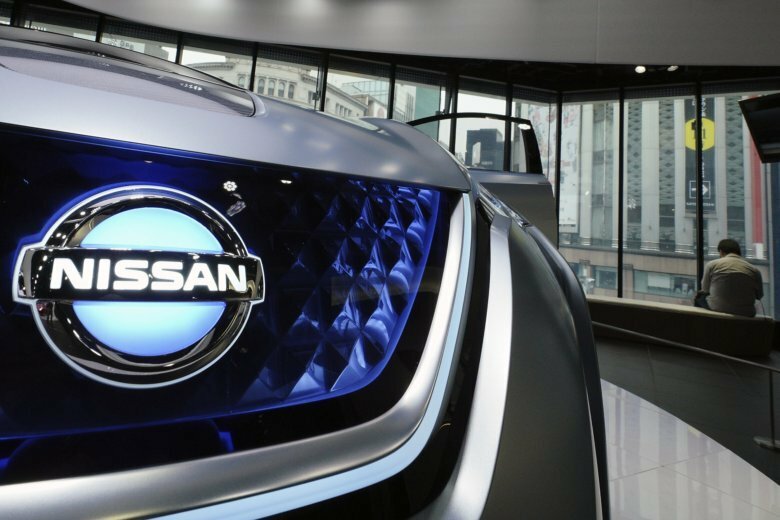 However Nissan refused comment, saying it has to first inform the Tokyo Stock Exchange of its decision. Earlier this week, alliance partner Renault voted to keep Ghosn as its chief executive but appointed Thierry Bollore, the chief operating officer, as interim chief. Tokyo prosecutors say Ghosn is suspected of under-reporting $44.6 million in income from 2011 to 2015. Tokyo prosecutors have offered few details into their case against Nissan Motor Co. chairman Carlos Ghosn. At a news conference Thursday, the deputy chief prosecutor Shin Kukimoto, told reporters Ghosn has been allowed to meet with officials from the French Embassy and with a lawyer, though his counsel is not permitted to attend questioning. Ghosn and another Nissan executive, Greg Kelly, were arrested Monday on suspicion of violating financial reporting laws and other alleged misconduct. Kukimoto said Ghosn was being treated just like any other detainee, with three meals a day and eight hours of sleep. He said the allegations of falsification of financial reporting carry heavy penalties because they distort markets and violate listed company’s requirements for transparency. Nissan’s board will meet Thursday to decide whether to dismiss its chairman Carlos Ghosn following his arrest on suspicion of underreporting his income. Earlier this week, alliance partner Renault voted to keep him as its chief executive but appointed an interim chief. Nissan Motor Co. Chief Executive Hiroto Saikawa appears determined to oust Ghosn, who is suspected of under-reporting $44.6 million in income from 2011 to 2015. Nissan’s board consists of nine members, including Ghosn and a representative director named Greg Kelly, who also was arrested Monday on suspicion he collaborated with Ghosn in false financial reporting. Ghosn is being held at a detention center in Tokyo. Prosecutors sought permission Wednesday to detain him for at least 10 more days as they investigate his case.